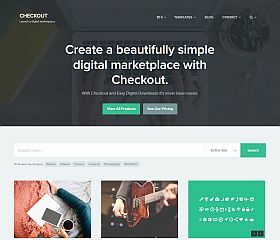 Checkout is a theme for creating a marketplace site like eBay, Amazon, CreativeMarket, or ThemeForest. Featuring many powerful and one-of-a-kind features that you won’t find in other solutions of its kind, this theme includes: TypeKit fonts, a beautiful vendor dashboard, a showcase for your latest work, special “team” section, and a responsive layout and design that ensures your site looks great on everything from desktop computers to smartphones and tablets. 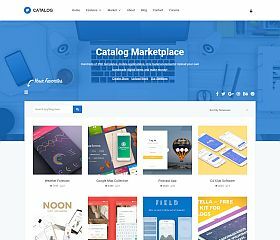 Catalog, makes building a multi-vendor (or even single vendor) marketplace with WordPress easier than ever before. With multiple pages and dashboards for vendors, a responsive layout and design, custom pages, custom shortcodes, built with Bootstrap, icon and font integration, and more – it provides everything you need to get your very own marketplace up and running. 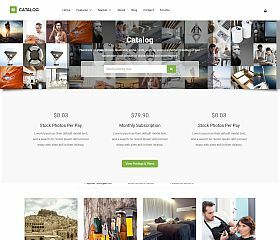 Catalog Photostock is a variation of the Catalog Marketplace theme listed above – but designed for stock artwork, photography, photos, and other similar items. 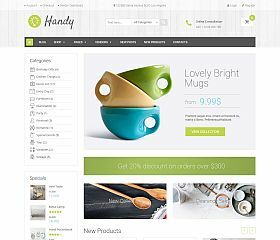 Handy undoubtedly draws inspiration from Etsy, giving you a theme that allows you to easily sell handmade goods (or any other type of products) from just yourself,or multiple vendors. Packed into the theme you will find features including: a responsive layout and Retina-ready design, unlimited color schemes to choose from, integrated/support for WooCommerce, theme options panel, built-in shortcodes, premium Revolution Slider plugin included, and more. 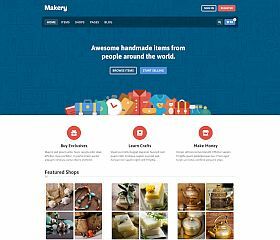 Makery is a WordPress theme like Etsy that enables you to create a modern-looking website that showcases the products and shops of various sellers and vendors. With a modern, flat-style design, individual shop listings (along with their products), a responsive layout, individual profiles, and multiple customization options – this theme delivers an all-in-one solution for setting up shop online. 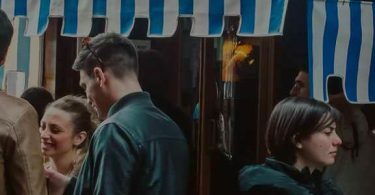 Marketica is a very powerful and robust theme that allows you to create your own marketplace for selling goods, and (optionally) allowing vendors to sell items as well. Tightly integrated with WooCommerce, it features: support for WordPress’ built-in post formats, Visual Composer (included), Revolution Slider (included), white labeling options, and a huge number of customization options that allow you to have a site that looks just how you want. 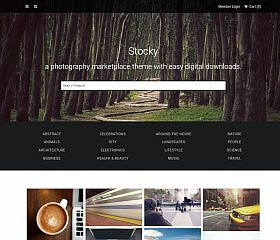 Stocky was allows you to easily sell photographs, themes, templates, and more via a marketplace (similar to iStockPhoto, Graphic River, or Shutterstock). 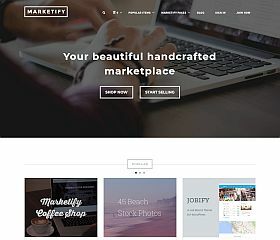 Marketify is the most robust and feature-rich WordPress theme available for buying and selling digital goods, create your own marketplace for buyers and sellers. Authors can post their items for sale through a custom interface, upload their files, and allow people to purchase through your site. Alternatively, visitors can browse for items from multiple digital goods creators and download their purchased items once a transaction is complete. MarketHub combines style and functionality into one high-powered, great-looking theme that integrates with WooCommerce (and the WC Vendors plugin), so you can easily create a powerful and versatile marketplace for people to sell their goods and services on. Features: responsive layout and design, built-in wishlist, and a clean and modern design that is sure to impress your visitors, sellers, and buyers. 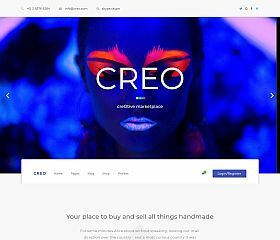 Creo boasts a variety of versatile functions, this theme is suited particularly well for those wanting to create a handmade (or digital) marketplace. With WooCommerce support/integration, a unique and attention-grabbing design, responsive layout, and dozens of features – it offers a unique solution for your marketplace site. 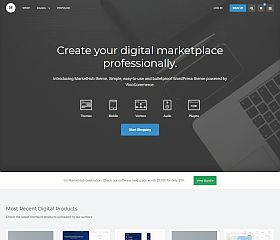 Restored Marketplace is powered by the popular Easy Digital Downloads WordPress plugin, this responsive theme allows you to create your own single or multi-vendor marketplace. 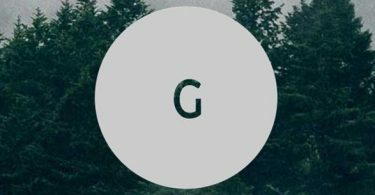 Whether you’re selling graphics, templates, themes, or any other type of digital-delivery product – this theme allows you to get up and running in no time. 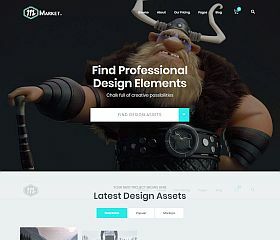 Market is a multi-functional theme that uses the power of the Easy Digital Downloads eCommerce plugin for to deliver a high-quality solution for creating your own marketplace. 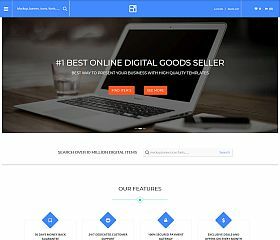 Set up vendors, sell physical products or digital goods and services, allow front-end submissions of items, build parallax pages with ease, and extensively customize the theme to your liking via the built-in administration dashboard. Morella offers a multi-purpose eCommerce theme featuring one of the most minimalist designs you may come across. Simple and straightforward, it includes the setup for that allows you to create your own online marketplace (among other layout options to choose from as well). 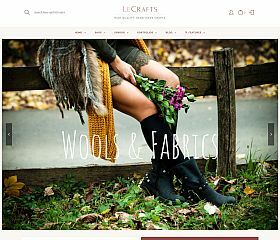 Le Crafts is a versatile eCommerce theme for WordPress that offers functionality and features for either a single store – or as a marketplace with multiple vendors. While designed for the handcrafts niche, it could easily adapt to suit any type of site, topic, or industry. 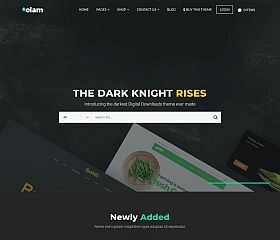 Olam harnesses the power of the popular Easy Digital Downloads WordPress plugin to deliver a theme that gives you the ability to create an online marketplace for services (like a Fiverr-style site powered by WordPress) or digital goods. 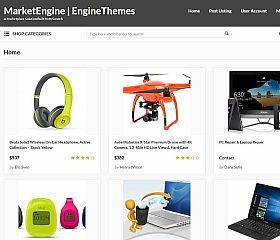 MarketEngine is a WordPress theme that allows you to easily set up an online marketplace. Sellers can create professional profiles, built-in ratings and reviews for products, multiple setup options (giving visitors the ability to buy, rent, or contact sellers), a beautiful and modern design, and a feature-set that is unmatched. Whether you’re wanting to create an Etsy-Style website that sells physical goods or a website like Envato’s ThemeForest or Creative Market (that specialize in digital goods) – these WordPress themes will give you everything you need to create your very own online marketplace! If you have ever wanted to try and set up an online marketplace for selling digital goods, you can appreciate the daunting task and undertaking that lies ahead of your. From facilitating payments, to user/member registration, delivery of files, setting up authors – everything that you would want done can quickly become overwhelming. 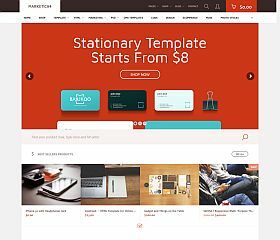 Replicate the functionality of popular marketplaces like Envato’s (ThemeForest, GraphicRiver, CodeCanyon, etc. 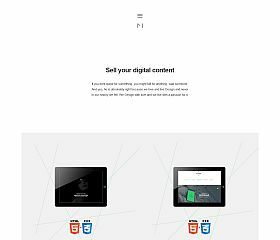 ), CreativeMarket, or MOJO Marketplace, these themes for WordPress will help you set up the perfect platform for creating a digital goods eCommerce site. While typically sites that offer such specific functionality are often created with complicated scripts or setups – all of the themes in this roundup are completely powered by WordPress. Not just relegated to design or coding files, these solutions will allow you to sell videos, audio, graphics, or any other creative digital assets. Not simply clones of the popular marketplaces, they give you a unique look that will help set you apart from the competition.